Happy Reformation Day….or, The Just Shall Live by FAITH. Today is ‘Reformation Day’, NOT HALLOWEEN; the day when Martin Luther saw through scripture that the ‘just shall live by Faith’, NOT an evolution of faith via religion, otherwise God lied to Abraham: “And he believed in the Lord, and He accounted it to him for righteousness”, Genesis 15:6. 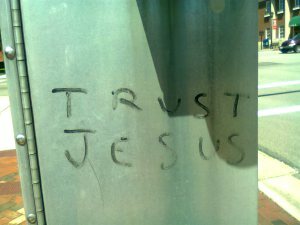 There is always a counterfeit for everything holy. ‘They just shall live by faith’ is the basis for Evangelical Christianity [the Doctrine of the Bible] because it points to what Christ did at the Cross instead of trusting in organized religion and its man-appointed leaders. I know this does not bode well with organized religion but the Word of God supersedes anything that man says or does. Martin Luther was given revelation by God to undo what ‘man’ had done for centuries to His Word, His opinion, His ultimate goal. The Reformation was now the line in the sand to mark those that cause the actual division – those that teach religion to salvation. This is why there is such a thing as ‘Nondenominational Christian’. While organized religion thinks we run with scissors, I assure you that if one reads and understands the Canon of Scripture in the intent it was written [from the original texts of Hebrew & Greek] and understands that it is THE inspired Word of God without the opinion of man, you would see that Nondenoms are actually ON the Roman Road by way of His leading. The Bible taught order, not liturgy. We forget that organized religion killed Jesus on that day, and most certainly do not read the entire Bible to see what Christ himself said and did. If organized religion says they will decipher scripture for you, run FAST. Asking an opinion is one thing, but someone dictating from opinion of an organization rather than straight from the Word of God is frightening. However, I do like sharing ideas about Scripture; it makes for great conversation BUT getting away from the Finished Work of Christ can change your Eternal destination. Always back up what you say with Scripture because if you don’t, then the point is moot. Divisiveness is what kills a great outreach. It’s the best excuse that Pastors use to stay away from an uncomfortable ministry at the abortion facilities – AND laziness. So, this prompted me to tell the short story of how this Evangelical Christian was moved to get into Prolife Ministry by Catholics and others. 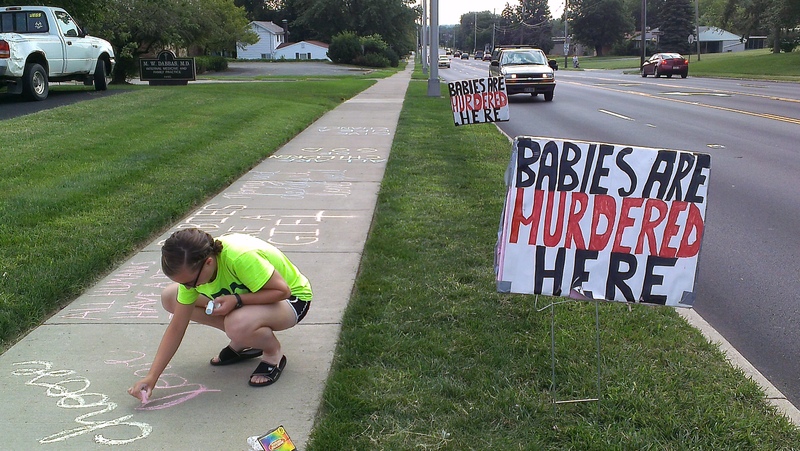 Many so-called prolife ministries want to be so divisive that they step over the dead aborted babies to get to the prolifer that’s ‘doing it wrong’. These people use a Bible with pages missing to further their agenda. This has been ongoing, nothing new…but it definitely needs to stop, particularly when violence erupts from this cult. Read that here. In these three points there was no mention of a church helping me or the prolife movement in any way. We received some well wishes and monetary support, but no one showed up on the sidewalk more than once. 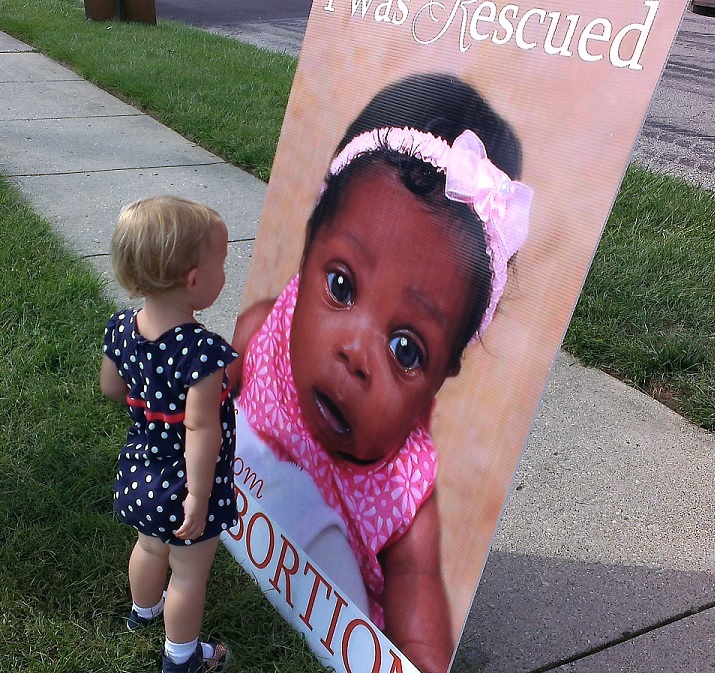 This is when we realized that this prolife ministry is a remnant within the remnant and on our own. Too many people in the evangelical world rests on their blessed assurance saying that prolife ministry is a ‘catholic thing’, too political and/or controversial. On this side of the pulpit, we call it LAZY and selective. 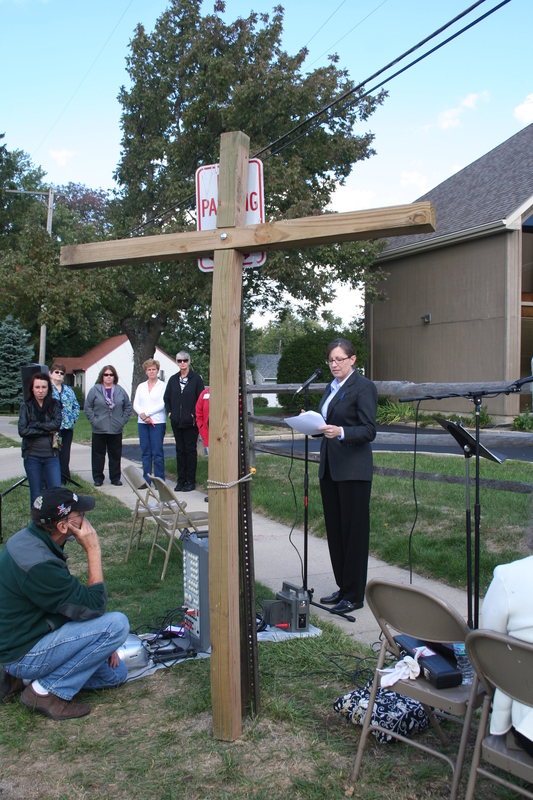 Prolife ministry is a GOSPEL thing, it is bringing the message of Jesus Christ to the street and the sidewalk. Pastors need to come out from behind the pulpit and do the work that Jesus did: Taking the message of hope to the lost, the hopeless, and the afflicted TO the street and TO the sidewalk. Evangelicals are called judgmental by many, but it’s the evangelical Pastors who have already judged prolife ministry as an offense to their church. ABORTION IS AN OFFENSE! And Pastors that do nothing offends ME and has deemed unborn life to be not as important as themselves or their coffers. 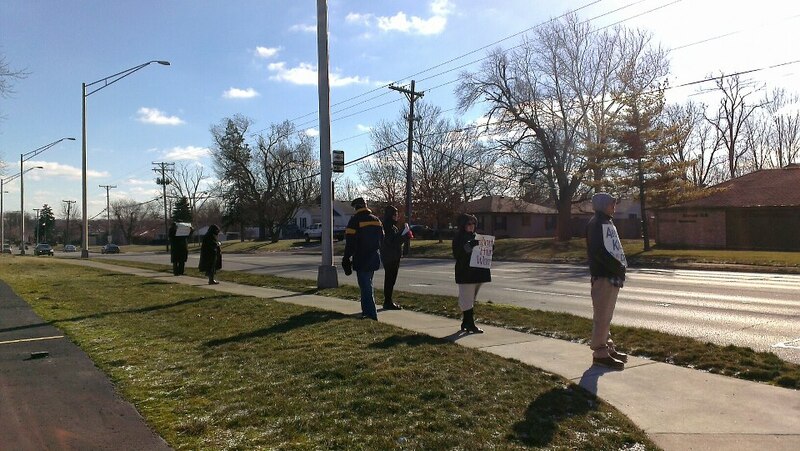 In the area in which we live and minister, over 800K people and HUNDREDS of churches surround ONE ABORTION FACILITY and still hardly anyone comes while some claim to be prolife. 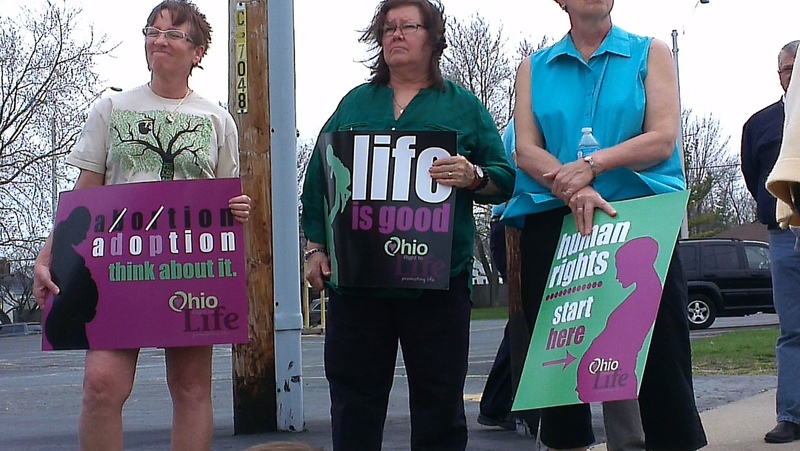 A great example: a woman at the Heartbeat Bill Prayer Rally said she is part of a 8000 member mega church in the Columbus area and said to me that they don’t do anything prolife outside of the church property lines, and for that she feels they are lacking. She’s right. 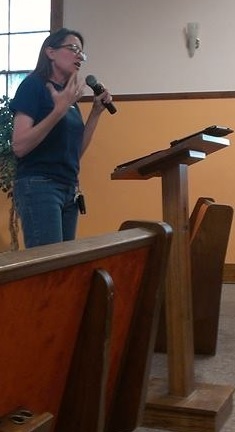 And I am the first person that will tell you I appreciate outreaches that supply clothes, formula and diapers…but they hide behind a huge pulpit rather than stepping out to the two abortion facilities within their city limits to spread the GOSPEL which saves LIVES. Abortion and prolife ministry is an offense to the Church rather than a ministry opportunity to changes lives. My dear prolife friends and ministers who continue to be in this fight for LIFE, be ENCOURAGED! We are few in number but great in the eyes of God! There are no orphans of God, we are all accounted for. Jesus said, “But even the hairs of your head are all numbered,” Luke 12:7.